Trip to Ston from Orebic / Korcula, Trpanj is available on demand and ride through nature and vineyards takes 1 hour. 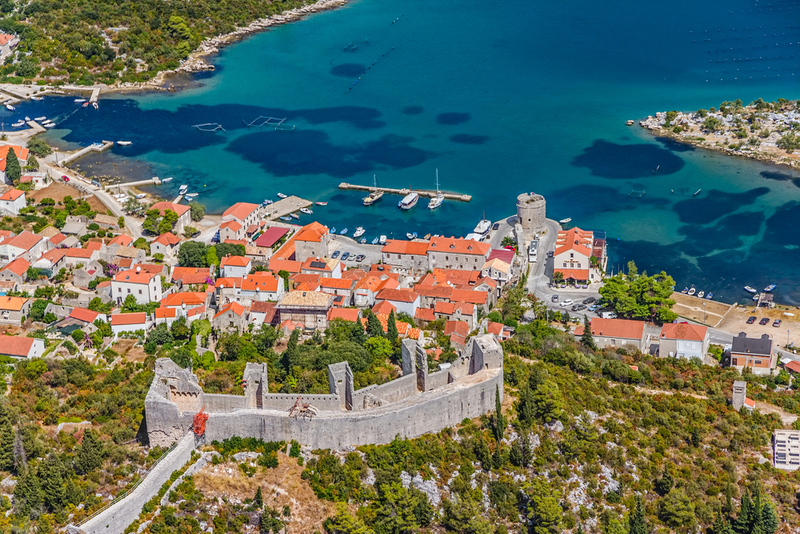 We suggest to visit Ston city walls and other city landmarks, 400 years old salt works – Museum. Possibility of on walking to Mali Ston walking path or city walls from the beginning to the end at Mali Ston. Mali Ston Bay is the most famous mussel and oyster farm in the Adriatic and both towns are full of excellent restaurants with seafood. The trip includes transportation comfortable air-conditioned vehicles, waiting , information about restaurants and return to your accommodation.